High-volume, case picking from floor mounted pallet flow is made safe and efficient with the Mallard Flex Separator (FS 200). The flex separator is mounted in the pallet flow lane to hold and lock rear pallets a comfortable 4” to 6” behind the front pallet. That small separation between the front pallet and the rear pallets, removes the back pressure of the rear pallets that would otherwise rest upon the front pallet. Why is removing back pressure important? 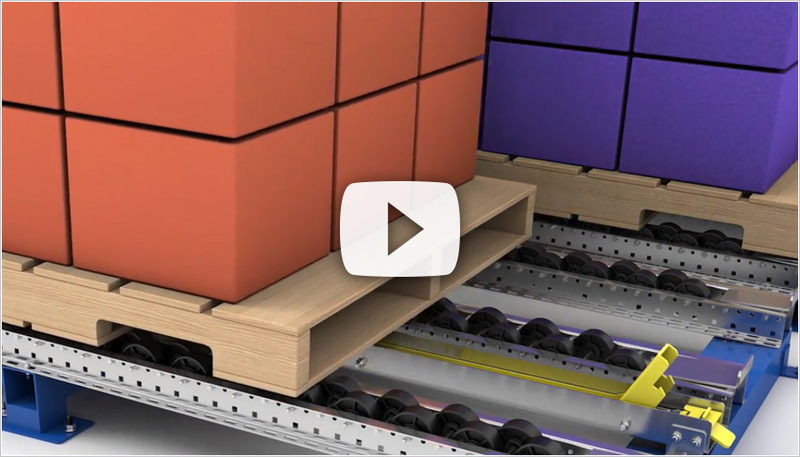 In a deep-lane pallet flow configuration, the weight of the back pressure makes it extremely difficult and dangerous for an individual to lift and remove the front pallet once it has been emptied of inventory. With the back pressure removed, and the front pallet isolated, the front pallet is easily lifted out. Rear pallets are released to index forward with a simple foot-operated latch and the front pallet is once again automatically isolated to start the process over again. Simple, efficient, safe & economical solution for floor-level case picking. Speed Controllers – drop-in or undermounted, these braking devices slow advancing pallets and maintain even tracking down lane. 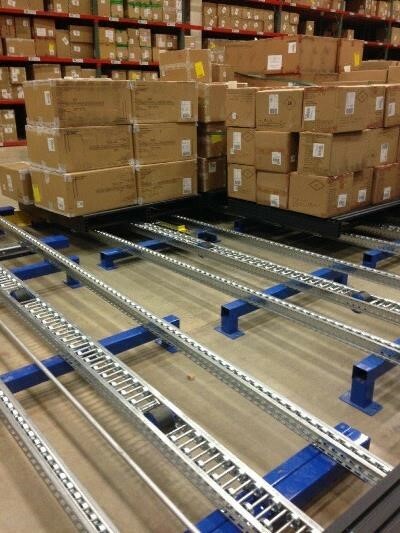 Ramp Stops – bolt-on accessory gently slows pallet to a stop at the pick face and helps hold pallet securely in lane. Download our Pallet Separator Brochure to learn more about flex separators and to see the whole line of customized pallet flow lane separators available from Mallard. Contact us for specs for outfitting new or retrofitting existing pallet flow lanes.